The Finals are coming! And it's set to be another epic battle at the beautiful AL SHAQAB in Doha, Qatar. Founded by His Highness the Father Emir, this spectacular, renowned venue will see the best athletes in the world pull out all the stops to settle their place in the prestigious LGCT Rankings. The electrifying climax to the season at AL SHAQAB, a world-class equestrian facility and part of the Qatar Foundation, will take place from the 8th - 10th November, with all eyes on the grand finale in what promises to be another electric season of top sport. AL SHAQAB was established as part of HH The Father Emir Sheikh Hamad Bin Khalifa Al Thani's vision and passion to preserve and perpetuate the Arabian horse in Qatar. It has since developed into a major international equestrian facility encompassing multiple equine disciplines. In collaboration with the Tour since 2008, Qatar has continued to build on its reputation as a global sports destination and a hub for major international sporting occasions. 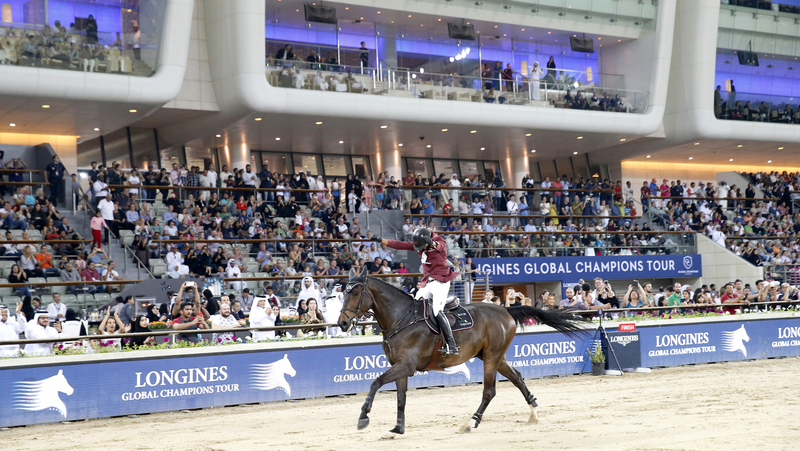 Leading events like the final of the Longines Global Champions Tour have been part of this evolution and Qatari national riders, including Sheikh Ali bin Khalid Al Thani and Bassem Hassan Mohammed - both of whom competed with the Rio Olympic Qatari Show jumping team - are increasingly prominent on the international show jumping stage. AL SHAQAB will be the impressive final stage of the 2018 Championship - a fitting finale for this top quality, cutting-edge venue to see who will finish on the podium this season and witness Ben Maher crowned the LGCT Champion of Champions. Ticket information will be available very soon, please watch this space for more details.